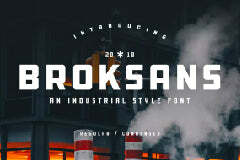 Free blogger sans font for any designer that is looking to display their design professionally. This free font file was found from the amazing source called Freebies Bug. Showcase your designs like a graphic design pro by adding a new touch with this beautiful font.